Survival Lilly Shares the 10 Items She Would Choose on the Alone Gear List. Which Ones Would You Choose? 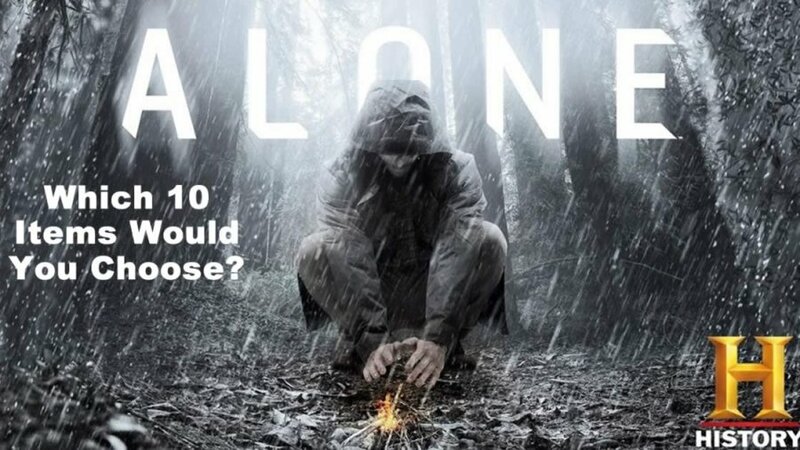 Alone is a Survival Show that has jumped right to the very top of our current favorite survival TV shows, and dammit I think it’s going to be staying there for a while. If you haven’t given it a shot yet, this is your cue to go look up some clips on YouTube to at the very least see if it’s your thing – chances are if you’re here regularly, it is. So, we thought that we would give our readers a chance to tell us, and our survival community, which 10 items YOU would choose from the alone gear list if you were on the survival TV show ‘alone.’ Below is a list of the items that you can choose from. Remember, you can only choose ten. Make sure you scroll down below this list to see the items they are allowed to take that do not count towards your ten items. Below is the Alone Gear List. Choose from the following 40 Items. Choose your 10 items & Leave Your Comments Below. Each participant was allowed to select up to 10 items from the following list. Scroll down below to see the items they were automatically allowed to take that were not counted towards their ten items on the alone gear list. Automatically Included Items “Alone” Contestants Were Given That Did not Count Towards the Ten Items on the Alone Gear List. All the contestants were allowed to take many pieces of gear that were not counted toward the 10 item limit. Consider these items when choosing your ten items from the Alone Gear List.